I have tried to address all your Seychelles travel related questions. If something is missed out, just shoot your query in the comments and I will get back to you asap. It is possible to see the Seychelles Islands chain in just three days but personally, I think you need a full week to have a perfectly satisfactory trip to Seychelles. Nevertheless, a 3-day tour of the paradise on earth would entice those islands and islets buffs with limited time and money. Seychelles archipelago is located on the Indian Ocean, off the coast of Africa’s east coast. However, it is not near the African coast. It is as far away as 1600 km from East Africa. How can I reach Seychelles? Being one of the top 10 visited islands in the world, Seychelles is easily reached from most of the major airports in the world. The Seychelles International Airport, Victoria receives all the international flights. How many islands and islets are in Seychelles archipelago? It comprises of 115 islands of which the Mahé Island is the most important island. The capital of Seychelles is Victoria and it is located on the Mahé Island. 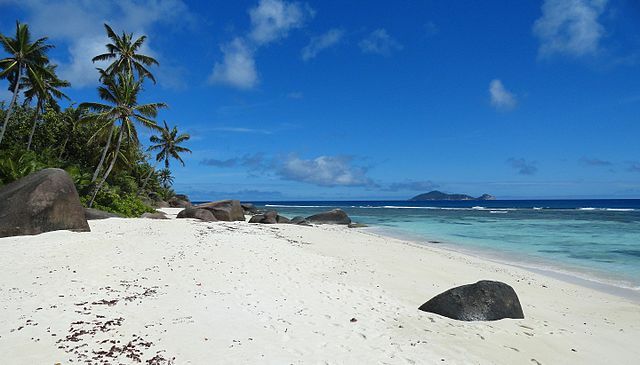 What are the important sightseeing islands in Seychelles? It is not possible to visit all the 115 islands in it and also it is not needed to set your feet in all of them to claim you have been to Seychelles for your last vacation. There are 8 important islands in Seychelles that you should try to visit in 3 days. Being the tourist hub of Seychelles and also is the island where the capital city Victoria is located, the largest and the main island of Seychelles, Mahé is where you will arrive from your hometown. It is also where all the luxury beachfront cottages and hotels are located to serve the eager tourists. Not a big island, Seychelles can be walked across. It will be only 6 km from one end to the other. 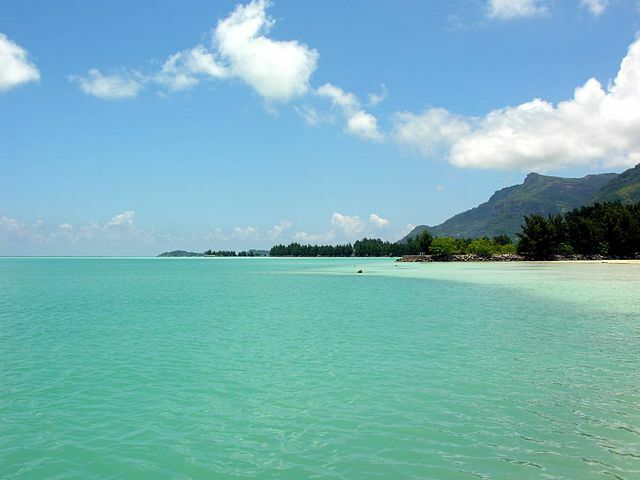 However, the length of Seychelles measures up to 26 km. Mahé has several beaches to see. Even after you reach a beach, you should gaze at the horizon at least for half an hour to let the beauty of this pristine island to sink in. The two beaches you should visit are the Anse Major and Anse Takamaka beach. Do you know that there more than 60 beaches mentioned in tourist brochures? Go for a jungle walk and experience the first sight of a true tropical rainforest. You will be thrilled to listen to the sounds of a forest and the sound of hidden waterfalls. Indulge in a few water-based adventure activities like kayaking, snorkeling, and speed boating. For the late evening entertainment in Victoria, you will find a couple of discotheques to dance wildly while being in high spirits. Can’t shake your legs? No issues. There are a few casinos to empty your wallet. 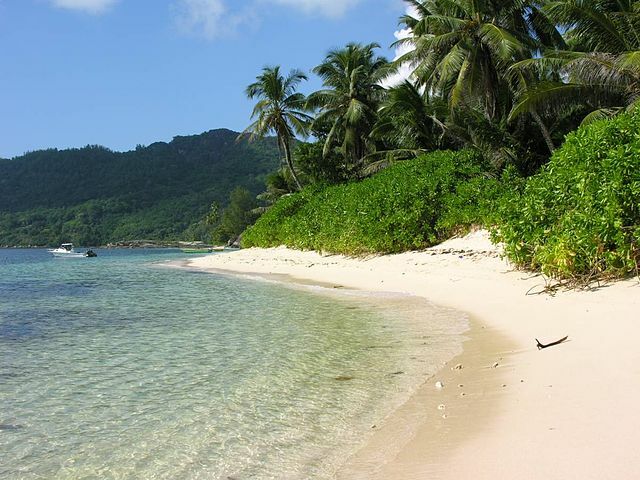 Praslin Island is quickly seen and the rest of the time is used for island hopping in a boat. In fact, it is an ideal headquarter to visit the Mahé Island too. 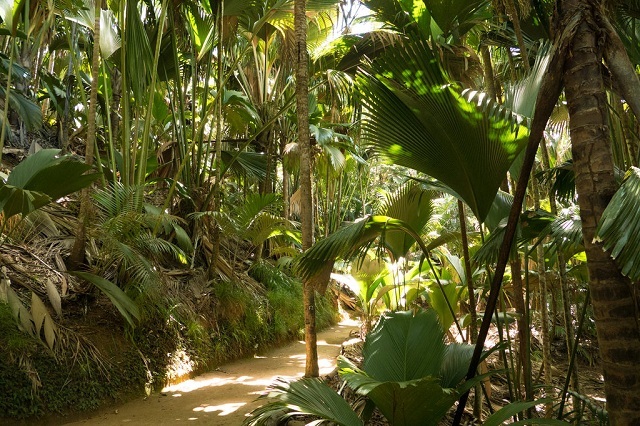 Take time off to stroll through a very green palm forest in Vallee de Mai nature reserve. 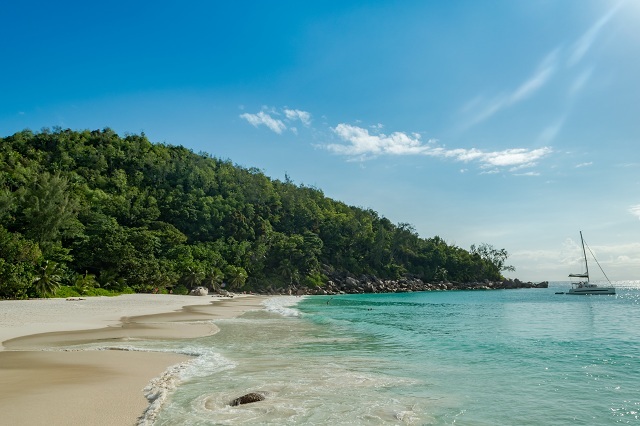 The smallest of the inhabited islands, La Digue attracts wildlife lovers easily with some of them being endemic because of its detachment from any mainland by 1600 km! 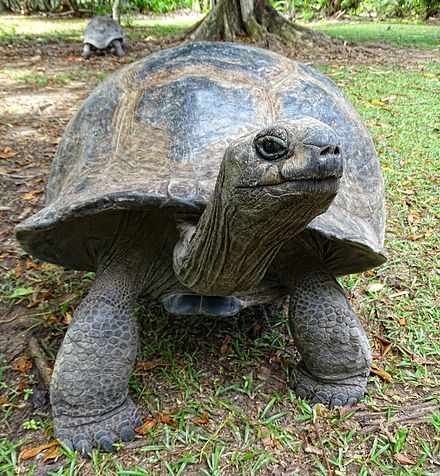 Let us have look at some of the endangered and endemic fauna of La Digue Island. OMG! It is giant indeed! Oh, looking scary! 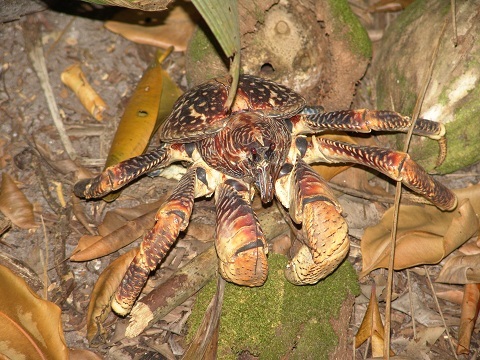 You can spot them near the fringes of Anse Cocos Beach. The last two mentioned above are marine life. Keep aside a full day (from dawn to dusk) to do some island hopping either in a plane or in a boat. The island hopping tours are organized by experienced tour operators based in Mahé Island and Praslin Island. There are five small islands that you would be visiting to complete your trip satisfactorily. These smaller islands are divers’ paradise. They are excited to see the colorful butterfly fish, giant tortoises, the rays and eels. These marine creatures can also be spotted by snorkelers. Which is the best place to do a bit of shopping in Seychelles? The Victoria Market is the best place to buy souvenirs and even some local dresses. Is there any time as the ideal time to tour Seychelles? I would say no. The joy of visiting these exotic islands and islets is perennial. Even the monsoon season can be more beautiful. What are the special food items to eat in Seychelles? Being an island, marine creatures dominate the gourmet scene in the Islands. Octopus is eaten with great flourish in this islands. The Chinese, Indians, Africans, and the French style of cooking have found their way into the kitchens. I could understand the other three countries’ cuisine but how the French came into the picture is a bit of puzzle to me. Strangely, the Octopus is cooked in Indian style; fried deeply with plenty of Indian and African spices. Freshly caught red snapper or sailfish are grilled after marinating for nearly 60 minutes in ginger garlic paste. Just before the final round of grilling, a bit of lemon juice is added to enhance the flavor. I think the fish and lemon is a great combination. Wow! What an exotic dish in Seychelles. I am sure it is the invention of the local chefs. The shark chutney is made with onion too. I wonder which kind of shark they use in Seychelles. OMG! What else do they eat in Seychelles? Bat fry must be a unique food in this part of the world. Shellfish is boiled along with white pumpkin to make a creamy soup. The locals love snacks made of breadfruit that is abundantly available in Seychelles. Yes, it is certainly the brother or sister of Jackfruit. 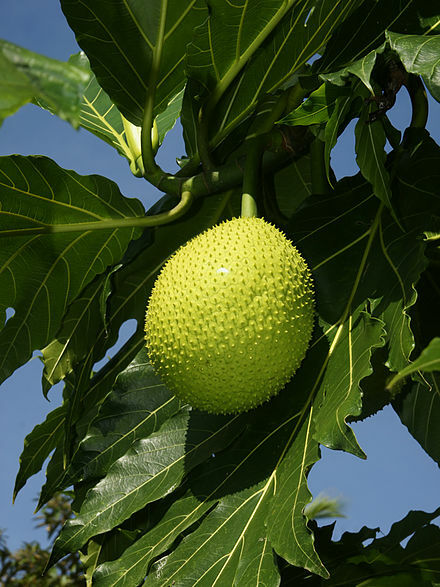 The surprising fact of the breadfruit is, it is seedless! 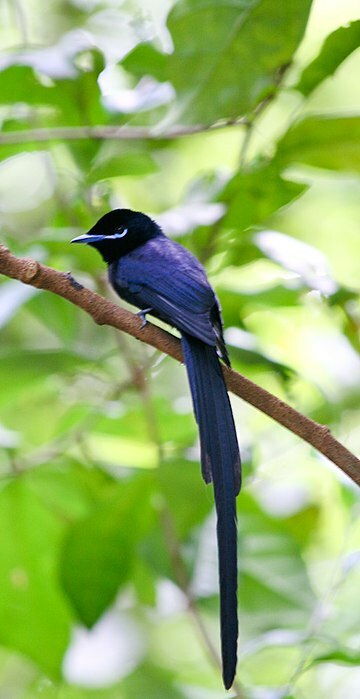 Do you know which bird’s eggs are used to make a light meal in Seychelles? 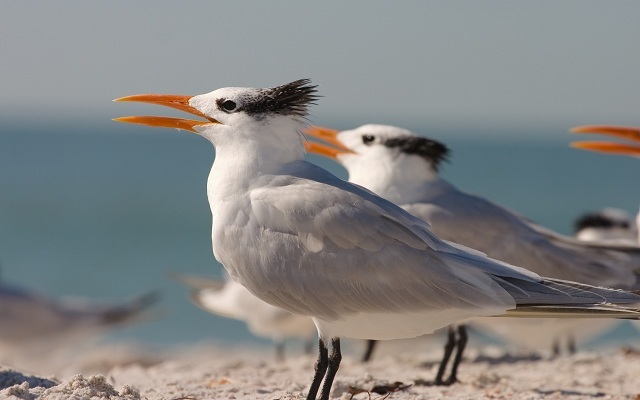 They cook the eggs of Terns. It appears to be a modified version of a seagull to me. Where to eat these Seychelles specialties? You can eat all these innovative food items of Seychelles in the restaurants in Mahe and Praslin islands. The breadfruit chips are available in almost every shop in all the inhabited islands of this archipelago. Being a tropical island with the background of dense jungles, you can ask if there are any tree-houses in the islands with ocean view. Alas, there are neither tree-lodges nor any overwater villas in this archipelago. However, there is really no dearth of ocean-view luxury resorts in Mahe Island. Banyan Tree, offers about 47 ocean-view villas. Le Domaine De L’Orangerie is located on La Digue island. Being a rather secluded island with very little crowd, all the 55 luxury suites are grabbed by ultimate privacy seekers. Well, I have come to end of Seychelles traveling information.